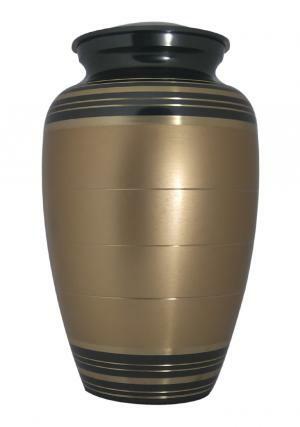 Golden Palace Adult Human Ashes Cremation Urn is a brass made metal urn with sand casting finish. 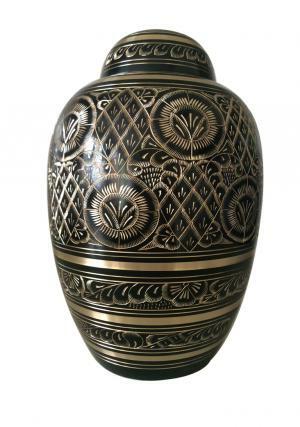 The quality hand made brass metal urn has beautiful gold & black engravings bands circled with etching on the three lines on the adult urn. 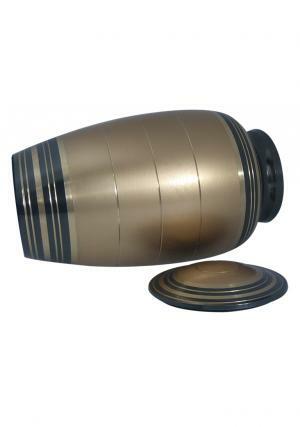 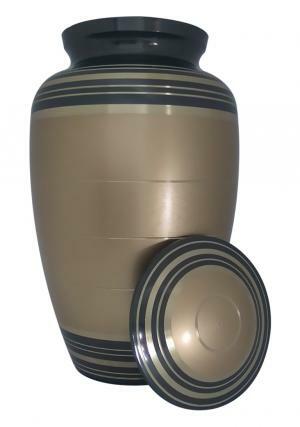 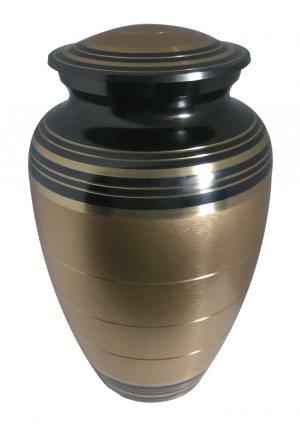 Large Golden Palace Human ashes Adult Cremation urn is secured with lid decorated in black bands surrounded by gold finish. 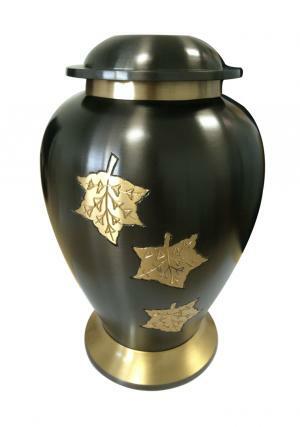 The lid of the urn has screw threading for an easy and secure closure of the loved one’s ashes. 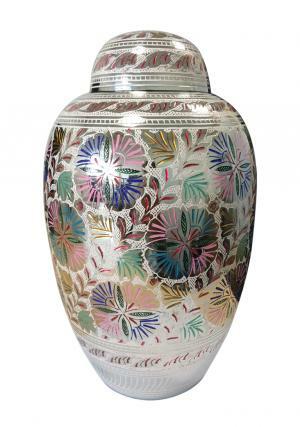 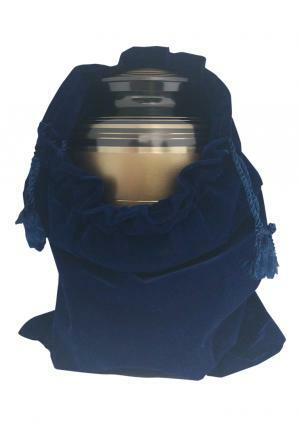 The heavenly large Adult Golden Palace Human Ashes Cremation urn measures to carry 200 cubic inches ashes space with dimensions as 10.24 inches tall, 6 inch width and weighs 1.95 kg.